Drake's latest obsession with late R&B singer is getting a bit more to the left, weird! 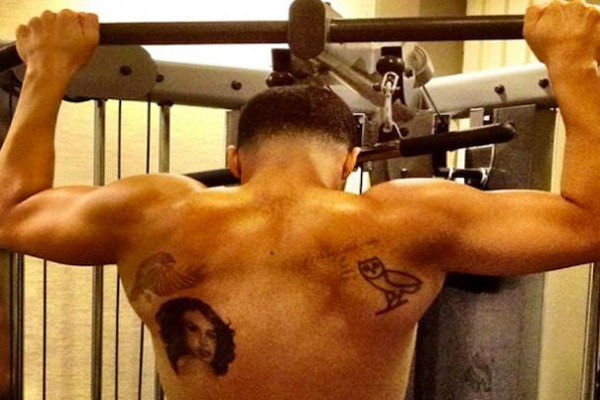 After getting Aaliyah tattoo's, earpieces etc Drake has released a new song from unreleased Aaliyah music. At least he wants to continue her legacy - so I respect that - even though he never met her or had any contact with her whilst she was alive. This new single from Drake featuring Aaliyah is titled 'Enough Said' which I actually quite like in a way, not so much the production and Drake's rapping - just Aaliyah's vocals - I would love to hear more unreleased Aaliyah tracks (without Drake on them). "this is a huge slap in the face to Aaliyah's music team". And of course the one that made me LOL "Drake wanna be Aaliyah so bad". A lot of people felt that Drake was being 'disrespectful'. The song was produced by Drake's producer '40', no shade to them but I just want to know why Timbaland and Missy Elliott - Aaliyah's long time friends weren't involved in the production? So low of Drake. The Take Care singer also wants to release an Aaliyah album (-_-) Right, right. Include Timbaland and Missy before you catch more shade and hate on twitter and blogs, thanks. Just listen to the track! And make your own decisions.